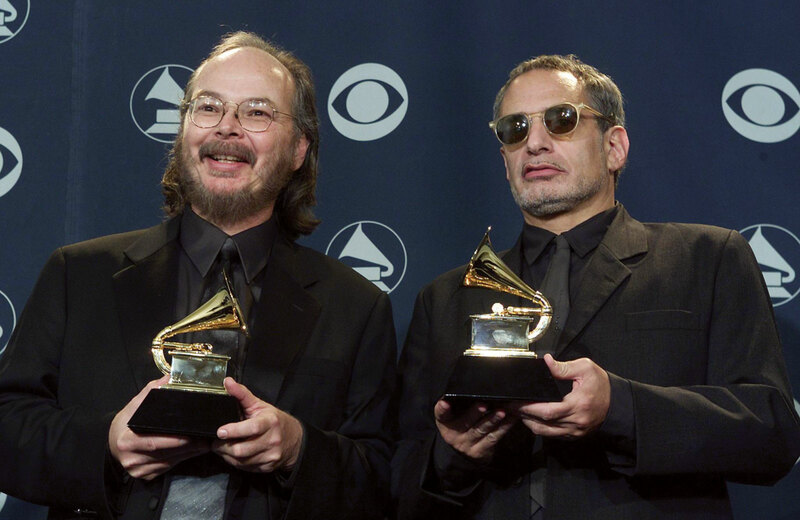 I have increasingly complicated attitude toward the Grammy Awards that might best be described as "opposition tempered by occupational necessity." 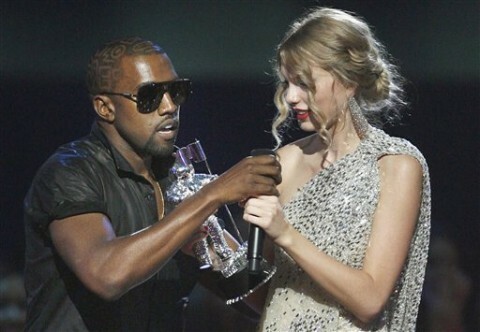 You might say that the Grammy Awards are to me as the MTV Video Music Awards are to Kanye West: both of us have had to travel the same road from idealistic outrage ("Imma let you finish...") to pragmatic tolerance (Best Album snubs with Best Song compensatory nods) before, ideally, on ultimately to savvy game playing/puppeteering (Grammy nods for "live" versions in years you've released no new material). At least that's the hope, for both of us. Incredible the ways in which we develop connections with our celebrities, isn't it? If the Grammys are fundamentally flawed, rather than merely a coincidental series of individual instances of collective idiocy (I'm well aware that what I want the Grammys to be can be different than what the RIAA wants them to be, and only one of us matters, but go with me here), it won't do to go storming the stage and interrupting Taylor Swift over and over, year after year (not that it wouldn't please a few of us to see that happen). Why bother erupting each year into a tizzy about the nomination outrage de l'année and missing the other 99% of the entire, stuffed-to-the-brim kudosfest (even after significant restructuring prior to this year's ceremony, 78 Grammy Awards will be given this year. That's a lot of nominees from a lot of very different genres and segments of the industry)? Rather, accept that there will probably always be a Teenage Dream or a Loud mucking up the credibility of "Album of the Year," and Britney Spears and Ke$ha will probably always get criminally snubbed as a rule. So I lost Album/Year to Herbie Hancock... which album do you still remember? This frees one up enough to notice some of the really great bits that lurk within the Grammy web, like when Robyn earns two major nominations that almost mean more than a statuette, or "Weird Al" Yankovic gets acknowledged for his brilliant satire of Lady Gaga with a nod for the music video, or that Esperanza Spalding actually is an incredible, groundbreaking musician and not just a tool of protest against Justin Bieber/youth /pop music. Or, for that matter, the sometimes nearly comical lengths voters will go to in order to nominate Grammy darlings like Beyonce or Paul McCartney or Pink even when they're taking a year off to tour the world or negotiate a divorce or pop out a kid or whatnot. When you're no longer offended by these things, you're free to find and enjoy the farce - or at least enjoy complaining about it. Steely Dan, winner of the 2000for the Grammy Award for "Not Being Eminem"
Of course, as is the general premise of this blog, as I learn, you learn, which means you the reader will be presented with whatever fruits result from my labor in the effort to deal with the Grammy Awards by figuring them out as much as possible. While I in no way promise or aim for comprehensiveness here (I'm not sure that's even possible in the best of cases), I hope to provide interested readers with at least some basic preparation in advance of the February 12 ceremony that may lend some understanding to an otherwise bonkers evening that may be enormously meaningful for the industry members that put it on but to the rest of us television-viewing, music-buying, pop-loving members of the public (particularly we "younger viewers" the Academy is always going on about) just looks like a circus. A circus in which the artists and music we clearly enjoy the most are typically undermined repeatedly throughout the night by an industry that wants to make very clear that someone who shoots whipped cream from her brassiere and has the audacity to have equaled an accomplishment by Michael Jackson and almost single-handedly carried her label's $5+ bottom line couldn't possibly be more deserving of an award than the male artist with the high-cult Pitchforky French stage name that all the hipsters love whose album has moved a whopping 350,000 copies. Because don't forget, boys and girls: Katy Perry, with her massive album, her goldmine of a tour and her big scary implant-free bosom, makes what the NPR comment boards call "forgetable pop garbage" (sic), certainly not "real music." Right? Isn't that the message of the Grammy Awards? Now that it's off my chest I am ready to rock this year's Grammy Awards with you all. If you might possibly consider watching this year's Grammy Awards on February 12 and would like to enjoy the intoxicating feeling of knowing a hell of a lot more about what's going on than anyone else watching with you (we all have a bit of hipster in us), stick around over the next couple weeks and see what you - we - can learn about this (tragically Britney-free) circus. First Listen: Mason Black - "Jack the Ripper"
Listen Up: Meg Myers - "Adelaide"